Dallas is located in north central Texas and is a metropolis known for its world renowned Art and Culture, technology and the country’s largest state fair, Texas State Fair. Dallas is separated from its Fort Worth neighbor by less than 30 miles, leading many to link the two cities and their surrounding suburbs in the term "Metroplex," but each retains a distinctive identity. 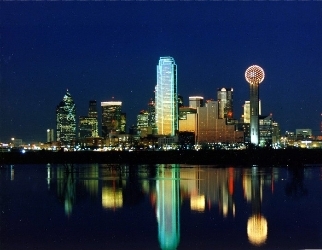 With a population of 1,299,543 million people Dallas is the ninth most populated city in the United States. The Dallas/Fort Worth Area is a leader in commerce, fashion, industry, finance, culture and transportation. Dallas is home to the Dallas Cowboys football team, new Dallas Cowboy Stadium and the Kalita Humphreys Theatre. The Kalita Humphreys Theatre is home to the Dallas Theater Center and is the only public theater designed by Frank Lloyd Wright. Looking for Dallas/Fort Worth homes for sale? Search our local listings database for access to listings in Dallas/Fort Worth and surrounding areas. Whether you want to buy or sell Dallas/Fort Worth real estate, you can browse through properties or find a wide variety of real estate resources available on this website. If you are looking for a Dallas/Fort Worth REALTOR®, choose Donnell Durham! As your Dallas/Fort Worth Area Real Estate Agent, Donnell Durham can assist you with all of your home buying and selling needs. He can provide you with access to the local listings database and offer his experience and knowledge to make the home buying or selling process easier for you and your family. Contact Donnell Durham today to get your home search started!